S&P 500 Bounces Off 2,600, Downward Reversal? Stocks were little changed on Friday, as investors hesitated following the recent rally. 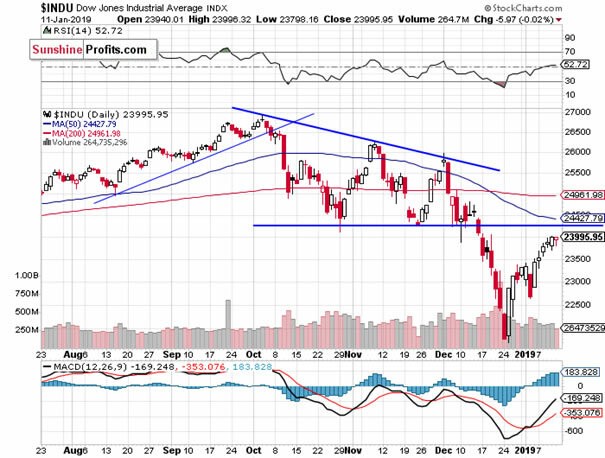 The broad stock market has retraced its recent decline following the S&P 500's breakdown below 2,600. Will the short-term uptrend continue? Or is this still just an upward correction before another leg lower? The U.S. stock market indexes were mixed between -0.2% and 0.0% on Friday, as investors hesitated following the recent advance. 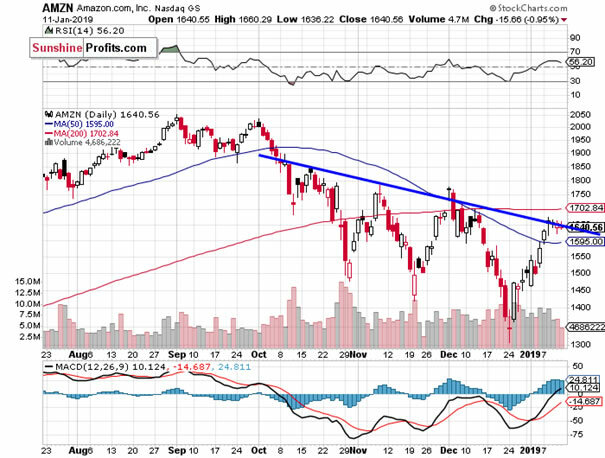 The broad stock market has retraced its recent decline following the S&P 500's breakdown below 2,600. 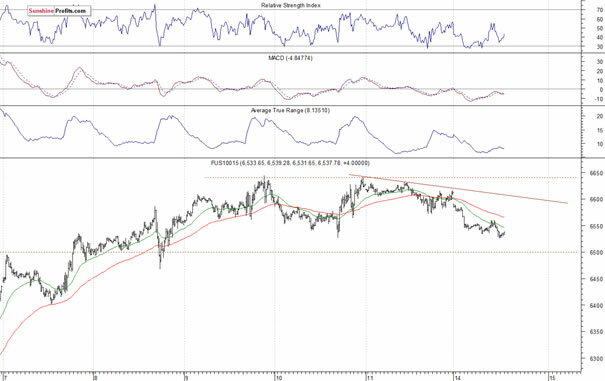 It continued its recent rebound off the December the 26th medium-term low of 2,346.58 recently. The index traded 20.2% below September the 21st record high of 2,940.91 on that day. 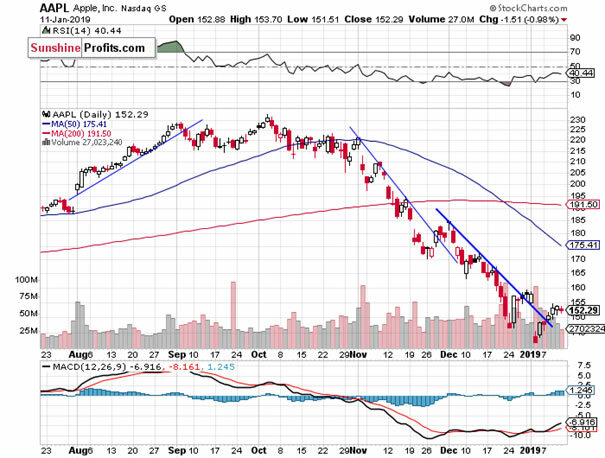 Then the market rallied and retraced some of the downtrend. It got very close to 2,600 mark again. The Dow Jones Industrial Average was unchanged and the Nasdaq Composite lost 0.2% on Friday. The index futures contracts trade 0.9-1.1% below their Friday's closing prices. So expectations before the opening of today's trading session are negative. The European stock market indexes have lost 0.7-1.0% so far. There will be no new important economic data announcements today. 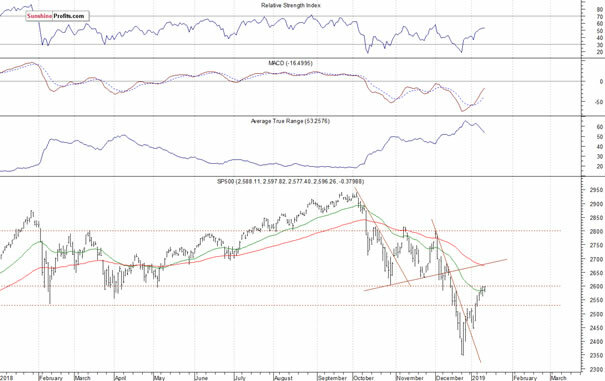 The broad stock market may retrace some of its recent advance. 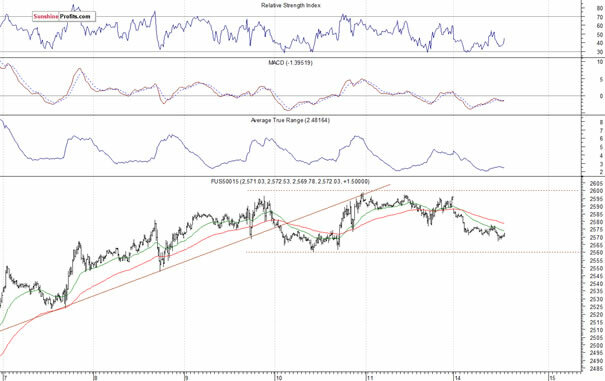 Despite last week's gains, we saw some profit-taking action following the recent rally.